Learn to kitesurf in the best place of the world. Constant winds through almost the whole year and warm waters made from our bay one of the best places in the world. 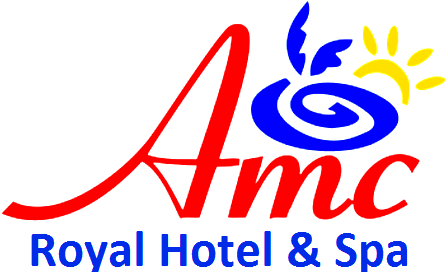 We are located in the AMC Hotel in the El Ahya District in Hurghada. Since 2005 we have been running Sultan Kite and providing kitesurfing and windsurfing courses and since a few years ago also kitesurfing safari's. We are a small team of experienced instructors having kitesurfers from all over the world in training and practicing as well. Kitesurfers of all levels can join us.The bay in front of the hotel is an optimal location for kitesurfing: flat lagoon water, quiet beach and a high standard service paired with the latest equipment.We focus on safety and quality so that you can fully experience the joy of kitesurfing. Here at Sultan Kite we love most of all the sensation of new adventures, like dropping into that perfect wave. Kitesurfing allows you to harness the power of both the wind and the sea, to ride at record speed, to jump to astonishing heights and to glide across the top of the waves. Learning kitesurfing with Sultan Kite is a life changing experience. It might look unbelievable at first sight but kitesurfing can be learned quite fast and easily. Sun and the salty water on your skin, the wind blowing into your face and beautiful landscapes all around you, will hook you up within minutes. It takes usually around a week to learn the basics and to ride your first meters. So why don’t you start right now? That you are a beginner, an intermediate or advanced kitesurfer wanting to polish your skills, Sultan Kite can offer you the right course that suits your needs. Learn or practice kitesurfing in a safe environment with our qualified teachers. We also offer organized kite trips under the form of safari’s. We offer a tailor made service from the rental of high class equipment, personalized sessions or courses and storage of your equipment. For the high level kitesurfers with their own equipment, we also offer private lessons and supervision, tips and advice after a warm-up session and level check. Sultan Kite has the perfect bay for learning kitesurfing, improving your skills, gaining confidence, independence and freestyle manoeuvres. We are offering kitesurfers of all levels the best opportunities and conditions to allow them to experience a great time.